Earn 15 loyalty points, worth £0.75, with this purchase. 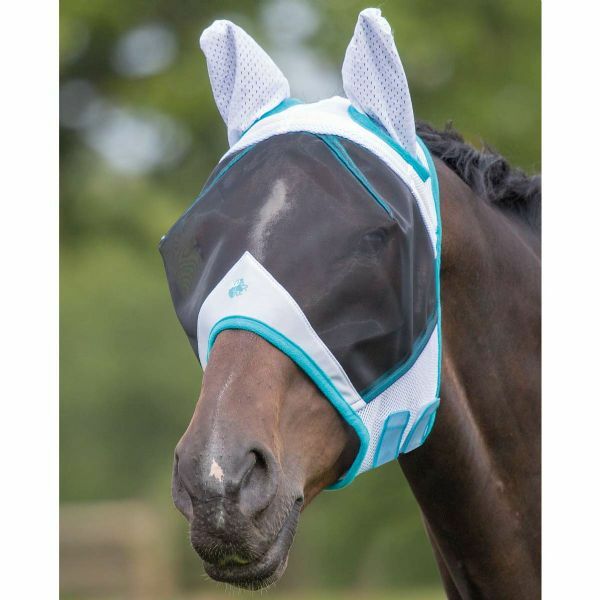 Keep unwanted irritants such as flying insects, dust and dirt away from your horses' delicate eye and sensitive ear areas with this effective fly mask. Offering full visibility, special darts ensure the mask stands clear of the eyes. Advanced climate control fabrics encourage airflow through to the face, fleece trims offer exceptional close fitting comfort. Adjustable fastenings.